Bobby Dale is a career emergency medicine physician who spends many days-off afield hunting and fishing and writing stories of those special memories. 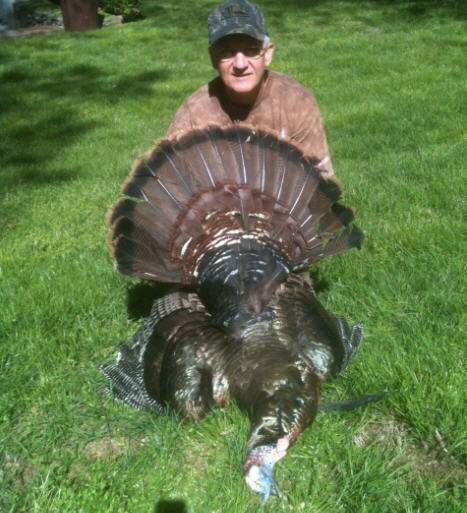 Bearded Rednecks, Showin’ Their Tails and Struttin’ Their Stuff is his third book of turkey stories, following Double Gobble, Reflections of a Turkey Hunter, and Turkey Roost Tales. Additionally he has written a children’s outdoor book, Rainbow, about a box turtle one of his daughters found as a child. He contributes to an outdoors emergency medicine column in Delta Wildlife magazine. Dale’s most recent book, From Rags to Wags, tells the heart warming true stories of three rescue dogs who will make you believe in the power of second chances. The author and his conquest on a fine spring day.